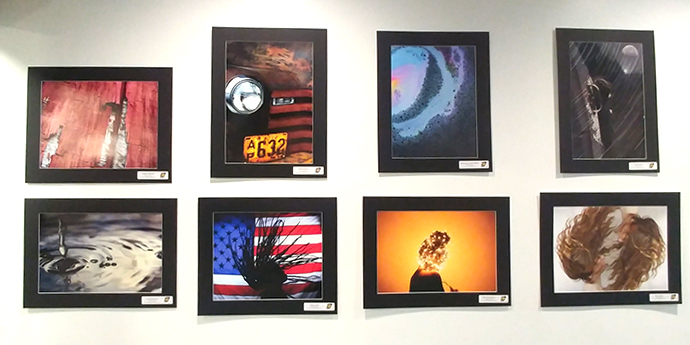 Art created by Franklin Heights High School students is on display through Nov. 30. 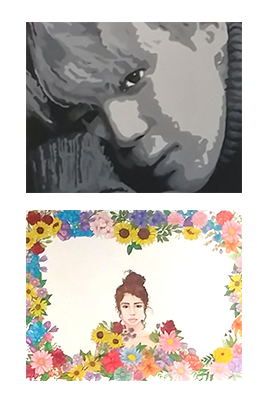 Art Show Open House event set for Saturday, Nov. 17, 2018, from 1:30 – 2:00 p.m.
Art created by students at Franklin Heights High School is featured in a new art show at the Casino District Branch of Pathways Financial Credit Union through Nov. 30. The credit union’s branch at 750 Georgesville Rd. in Columbus will host an Art Show Open House to celebrate the student artists on Saturday, November 17, from 1:30 p.m. to 2 p.m. Pathways will present a financial donation to the school’s art program at the event. Artists, families, friends and members of the public are invited to attend. The Art Show, displayed on Pathways’ Community Wall, includes 10 works of art from students under the direction of Franklin Heights art instructor Sue Ly. All visitors can vote on their favorite piece as “Best in Show” in the credit union lobby until November 30. The winning artist will receive a Visa gift card from Pathways. The Art Show features paintings and photography from Franklin Heights High School students Katherine Garcia Delgado, Dora Henry, Kaniya Jones, Kaylynn Kocher, Claudio Martinez, Lauren Powers, Esmerelda Reyes-Perez, Austin Taylor, and Que Yani Dawson.